Sri Bala Ganesh Tour and Travels, based in Junglig Ghat (Port Blair, Andaman and Nicobar Islands), provides excellent event organizing services at competitive charges. As we have valuable experience in this domain, you can rely on us for organizing a successful event for you. Be it corporate or private events, our event organizers can efficiently organize all types of events. They manage your event from the beginning until the end. 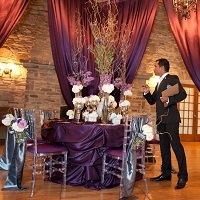 From venue selection to final decoration, they will make the best arrangements. Rush to us!